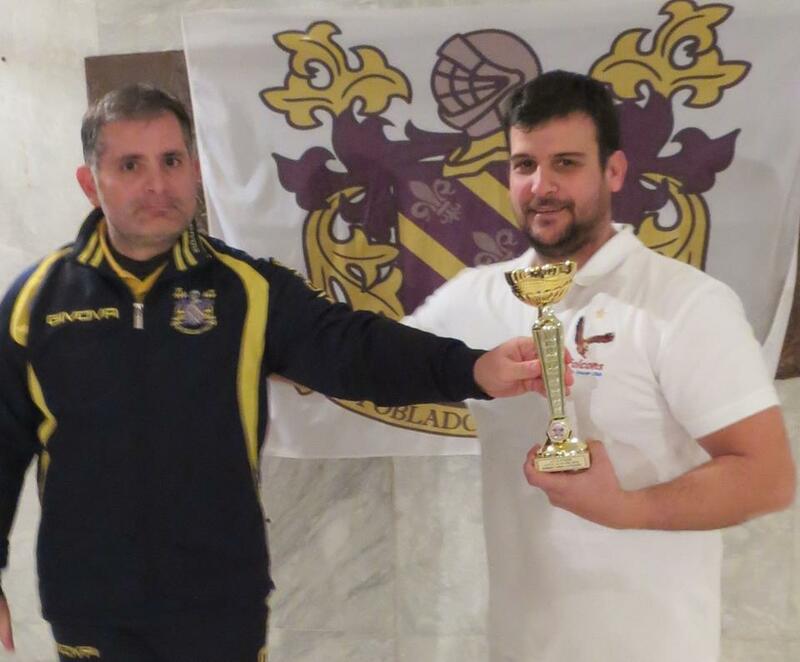 During the week-end of February 14 and 15, an international open tournament was played in the Acharnis Hotel, Parnitha. 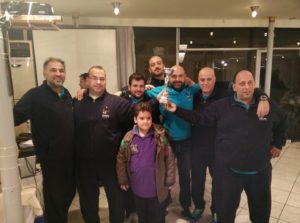 The tournament was organised by the Pobladores Griegos team. On saturday we had the team event. 10 teams (from 7 clubs) were present. Falcons Athens (see picture) won the final against Scarlet Battalion SC. Olympia and the home team Pobladores reached the semis. On sunday we had three individual categories: the ladies, open and veterans. In the ladies section (5 players) Dionysia Koulosousa won the group. Eleftheria Papanikolaou was second. 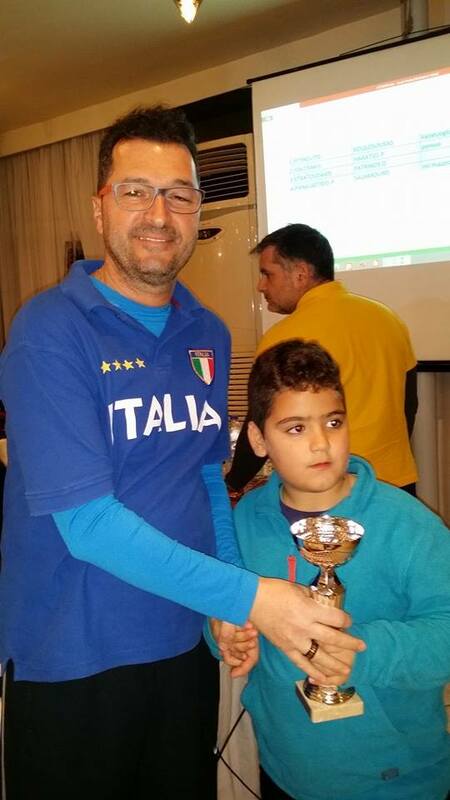 In the open category (49 players), Spyros Hantzaras was the winner. Kostas Seses reached the semi. Lambros Drossopoulos and Nikos Naskos were the semi-finalists. 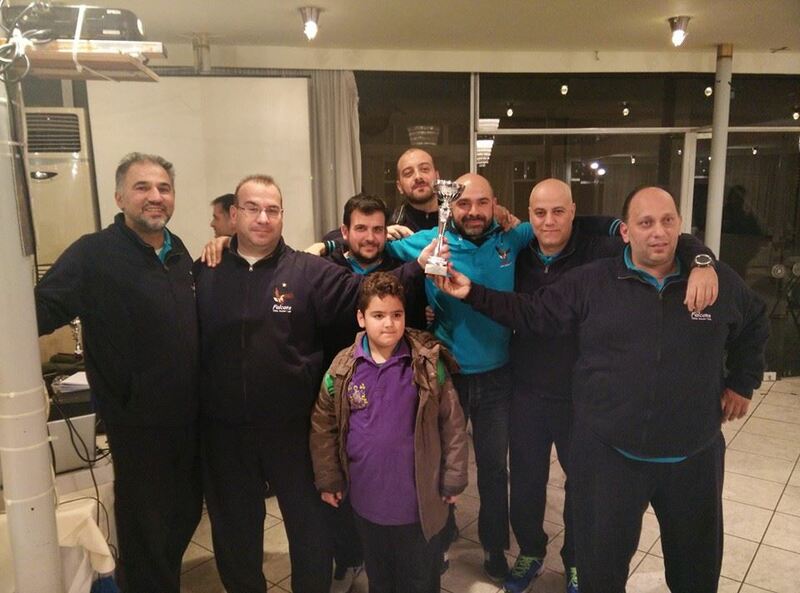 In the veterans (11 players) Marcos Kapsambelis (picture) won the final against Lazaros Papakonstantinou. Aggelinas brothers Chris and George reached the semis. The consolation tournament was named as a WASPA tournament. Yannis Salamouris beat Dimitris Patrinos in the final. This entry was posted in FISTF News and tagged Greece, Results. Bookmark the permalink.